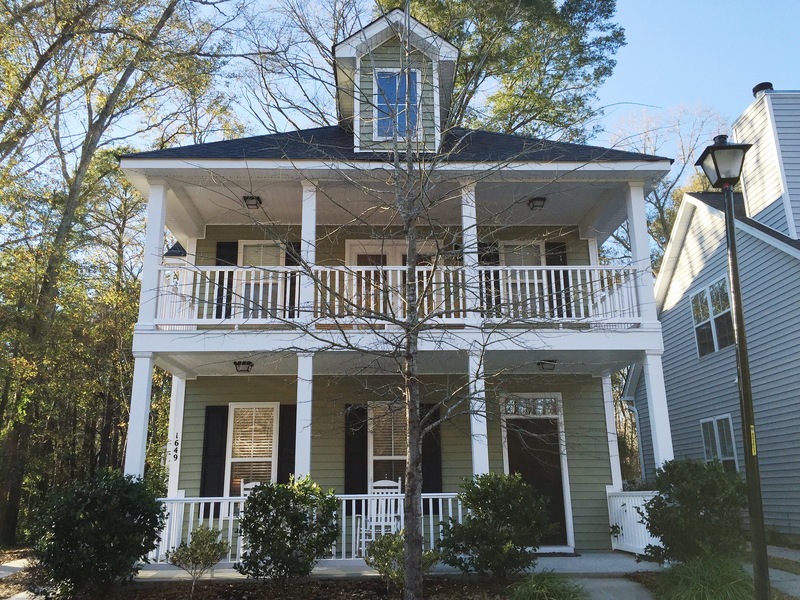 This charming, Johns Island home at 1649 Bee Balm Road radiates curb appeal with a manicured front lawn and Lowcountry-style dual front porches that beg to be enjoyed. The 1,730 square foot home sits on one of the best lots in the neighborhood–surrounded by green space and an HOA easement so you have a buffer from neighbors. The St. Johns Crossing neighborhood was developed in 2008 and offers a variety of floor plans and home styles. Tree-lined streets and natural buffers add to its appeal. 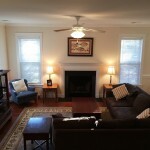 The location is also ideal with downtown Charleston and Folly Beach both within a fifteen to twenty minute drive. Upon entering the home, you will be greeted by a large living room. Hardwood floors, tall ceilings and a fireplace are some of the features that define the space. Opening from the living room is a formal dining area which gently transitions into the contemporary kitchen. 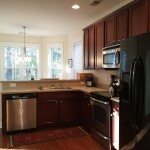 Cherry cabinets, solid surface counters and stainless steel appliances catch the eye. The space is also designed for entertaining with a breakfast bar and a casual dining nook surrounded by a bay window overlooking the wooded backyard. The three-bedroom home has all of the bedrooms located on the second floor to separate them from the living spaces. 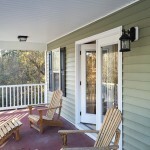 The master suite is well-appointed with a large bedroom which opens onto the second-floor covered porch. This private space is a great spot to enjoy the temperate Charleston weather while taking in the sights and sounds sounds of the neighborhood. The en suite bathroom has a separate tub and shower along with dual sinks and a bright, oversized window above the tub to fill the space with natural light. 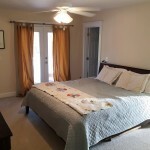 The other two bedrooms are well-sized and share a full hall bathroom. For more information on this listing or to set up a showing, contact listing agent Curry Smoak.